Sarah Hadden, Senior Advisor, Training and Professional Development | Sarah is an educator with 30 years of experience in the field. She has been a classroom teacher, a researcher, and a teacher educator. 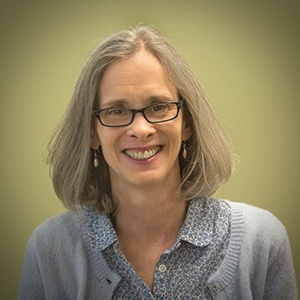 Prior to joining Teachstone, Sarah worked on the development and implementation of the first CLASS-based professional development programs (MyTeaching Partner and the National Center for Research on Early Childhood Education) at the Center for Advanced Studies on Teaching and Learning at the University of Virginia. Sarah conducts Pre-K & K-3 Intro and Observation trainings, Pre-K & K-3 Train the Trainer Programs, and Feedback Strategies and Instructional Support Strategy trainings. Sarah lives in Charlottesville, Virginia. She has conducted CLASS trainings in 28 states (including Alaska and Hawaii) and 4 continents! When she isn’t working, she often has her nose in a book. We’ve been talking about the achievement gap for an awfully long time. We’re all familiar with the term; it’s the disparity in academic achievement between different groups of students. We tend to hear about in relation to white students and students of color, but it can also be used to describe the difference between low-income students and their more advantaged peers. Imagine that you are a child walking into a classroom for the first time. Think about how you might feel. Are you scared? Confused? Excited? What Does the Research Say About CLASS and Social-Emotional Skills? Social-emotional skills are key to student success. These skills include the ability to recognize and regulate emotions and behavior, take others’ perspectives, and make sound choices. Children who have good social-emotional skills have an easier time making friends and maintaining strong relationships with teachers and peers. What Does the Research Say About CLASS & Student Engagement? Student engagement is crucial for learning. Students who understand the rules and routines of the classroom and have something to do are less likely to engage in disruptive behavior, allowing the teacher to focus more on instruction. Engagement is only heightened when teachers make learning come alive. Warm, caring, and responsive teachers inspire students to focus on classroom activities, be it a read-aloud in an early childhood classroom or a writing activity in an upper grade classroom. What Does the Research Say About CLASS and Cognition? Strong cognitive skills in early childhood are associated with later school success. Cognitive skills are the mental processes that help us think, analyze, reason, and solve problems. These mental processes are complex and include a number of sub-skills that include attention, perception, memory, use of language, problem solving, and creativity – a set of skills referred to as executive function. What Does the Research Say About CLASS and Academic Achievement? Numerous studies indicate that the CLASS is a valid measure of instructional quality. But, what exactly does that mean? Simply put, it means that the CLASS measures those aspects of teaching that lead to student achievement, typically measured with standardized assessments.